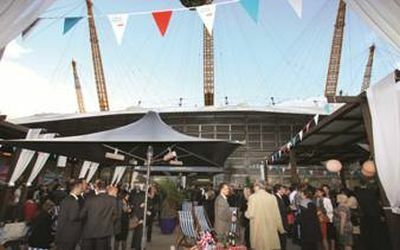 Under the new ownership of Reed Exhibitions, who also run World Travel Market, the Business Travel Market (BTM) took place last week at London’s Excel exhibition centre in Docklands. Much was the same as in previous years with Paul Robin, who created the show in a private capacity in 2009, still very much in charge. 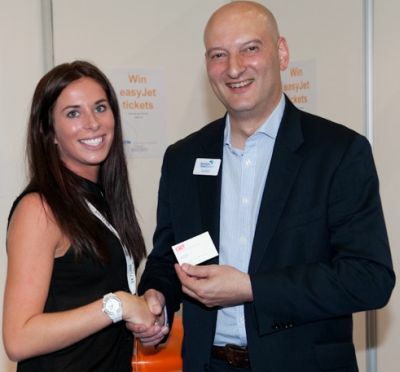 Visitor numbers and exhibitors were on par with the previous year, but what was very obvious was the relatively large number of European visitors coming in from Heathrow on the hosted buyers scheme. Exhibitors Gutsi (Green urban transport sustainability initiative), and Heathrow Express provided an electric bus shuttle to Paddington and onward travel to Heathrow. What had changed was the location within Excel, BTM moved to Hall 10, at the eastern, and much brighter, end of the complex, and very easily accessible from Prince Regent DLR station. Also changed was the location of the inclusive conference programme, in an adjoining hall, seamlessly integrating into the main exhibition centre. It was very easy to stroll between the two, and whilst the show itself did not open until 10:00 on each of the two days, the organisers had thoughtfully organised coffee and croissants for all those who arrived for the 09:15 conference start. We have all got used to the DLR now and everyone has their quickest way to and from Central London. On the airline front Air Astana, Air Berlin, Arik, Finnair, Flybe, Hong Kong Airlines, Luxair, Qatar Airways, TAM and Virgin Atlantic participated. 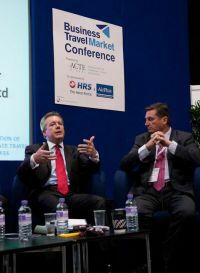 Drew Crawley of British Airways and Paul Wait of Virgin Atlantic, both holding the airlines’ sales portfolio for the UK, spoke at conference sessions. Mr Crawley, Commercial Director at BA told the packed audience the APD charge was “suffocating jobs and suffocating growth”. He highlighted that the UK has the highest rate out of the five EU countries that have the duty. Crawley explained that BA supported the principle of the emissions trading scheme but wanted to see it operate on a level playing field, highlighting that countries such as Russia and China have so far shown little sign of complying. “If European airlines end up paying and others don’t, that is not the right solution”. Paul Wait emphasised Virgin Atlantic’s global reach, and its current two Chinese destinations, Hong Kong and Shanghai, and commitment to the New York market with improved Premium Economy and Upper Class, and new lounge at JFK. The independent carrier flies three times daily to Kennedy and twice daily to Newark. Guy Stephenson, Chief Commercial Officer at Gatwick, gave a spirited outline of the airport’s revamped facilities, saying that in an ideal world easyJet, the largest airline at the South London operation, would be in one terminal. “Yes, the current arrangement is not ideal, but it works well”, he said. A new platform was being built at the airport’s railway station and with the opening of the new Blackfriars station, with access to north and south of the river, that service, 28 minutes, was gaining in popularity. Caribbean Airways has introduced a twice weekly service to Port of Spain. 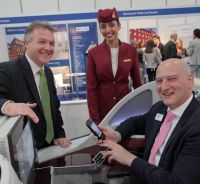 The star of the show was undoubtedly Qatar Airways’ travelling 787 Business Class display seat, first shown at ITB, and expected to be seen in the real on a Dreamliner at Farnborough in less than one month’s time. It sets new standards in terms of comfort and ease of use, fully flat, 21” wide and very easy to get into. No climbing over other passengers’ legs. There is a large 17” touch screen TV and plenty of fixed table space, plus a very simple-to-operate dining bench that pulls out. All the controls are easy to get to, and the phone/control unit is fully screen operated. In terms of quality and comfort it is a real breakthrough. The airline now serves Doha five times daily out of Heathrow, the new T4 lounge a huge success. Also announced at Excel was the introduction of non-stop services to Tokyo Narita for the start of the winter season. Currently the service goes via Osaka, which will remain, also daily. We asked a hosted buyer for an opinion of the show. 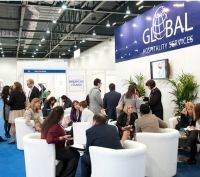 “There is a great selection of suppliers at Business Travel Market, with the show being a good, manageable size, said Karen Adni, Anister International. “The conference sessions were excellent”. Katja Smythe, Director of Corporate and Consortia Sales EMEA, PPHE Group commented: “The organisation of Business Travel Market has been excellent, particularly the online diary management system that has enabled my team and I to assess the travel needs of pre-qualified travel buyers in advance so we can be best prepared to meet their needs. As a new exhibitor and partner of the event, we are delighted with the quality – and variety – of the hosted buyers staying with us at our Park Plaza County Hall hotel on London’s Southbank and we look forward to exhibiting again next year”.